Hey guys. Hope you had a lovely weekend. I spent mine relaxing really, spending time with my grandparents and writing up this week posts! I like to be organised when I can. This post today is about Uber Chic Collection 17. This is a great collection with some cool images! We have layering, geometric, watermarble and more! From 17-01 I saw some lovely images around the top left of the plate that just struck me as Beauty and the Beast style. I think it's because of the rose mainly. 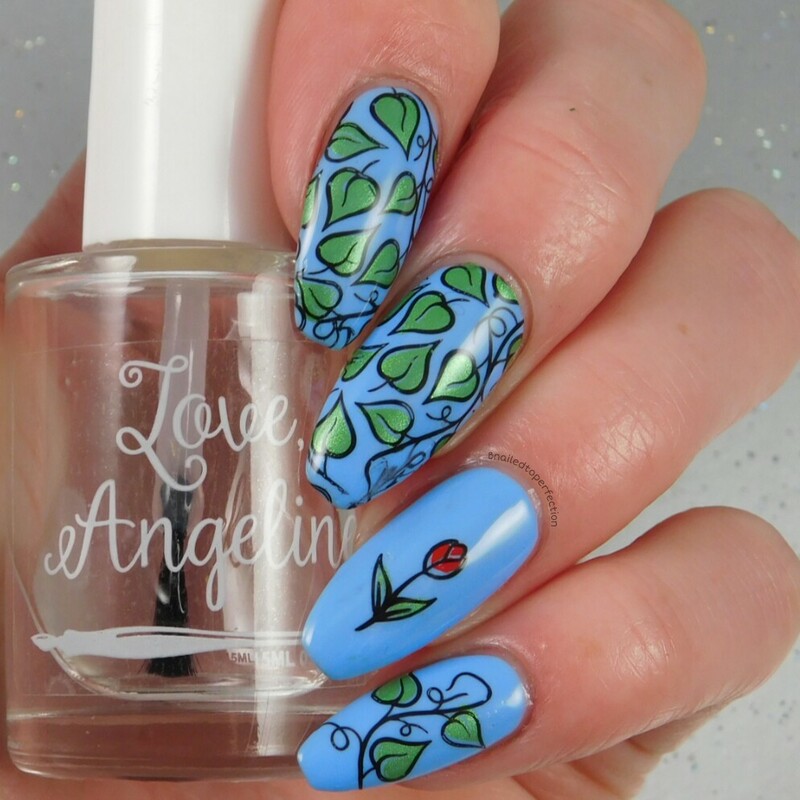 So I stamped them using Absinthe Minded by HTB, Joana from EDK and black Pueen. 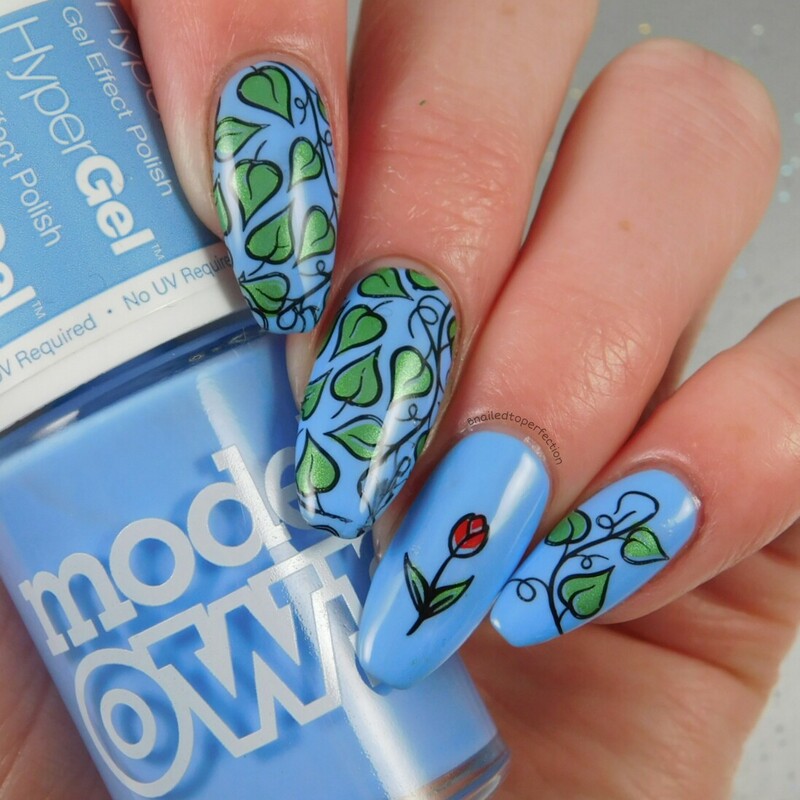 The base colour is Cornflower Gleam from Models Own. Over It's Coral, Not Carl from Pretty Perfect Polish, I stamped a cool ikat chevron design. I really loved these images and I really love it when there is a reversed image too! How great is that pick up?! 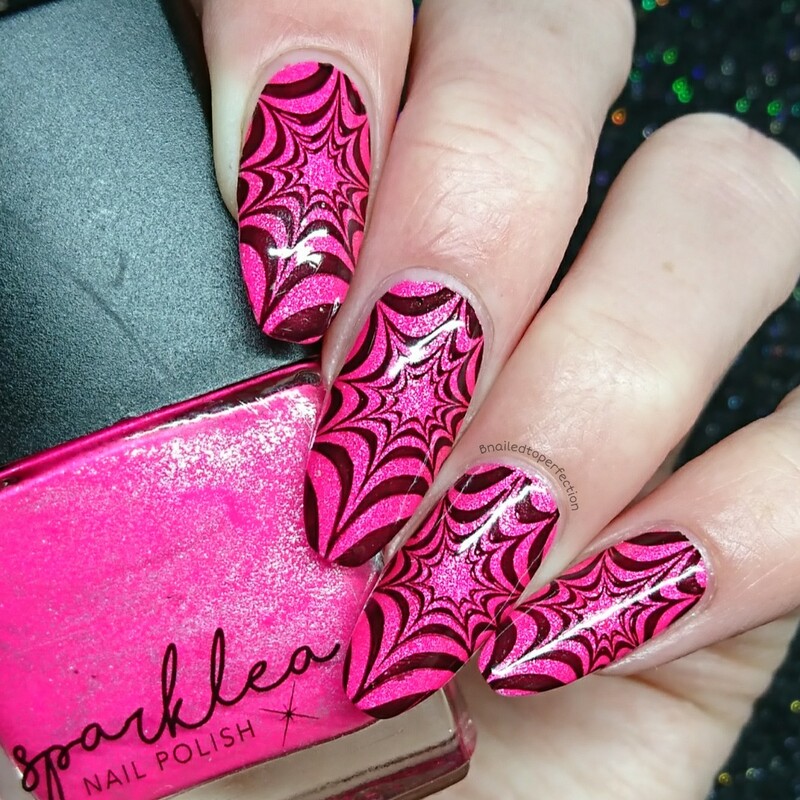 Pink and black watermarble anyone?! No water involved with this one! 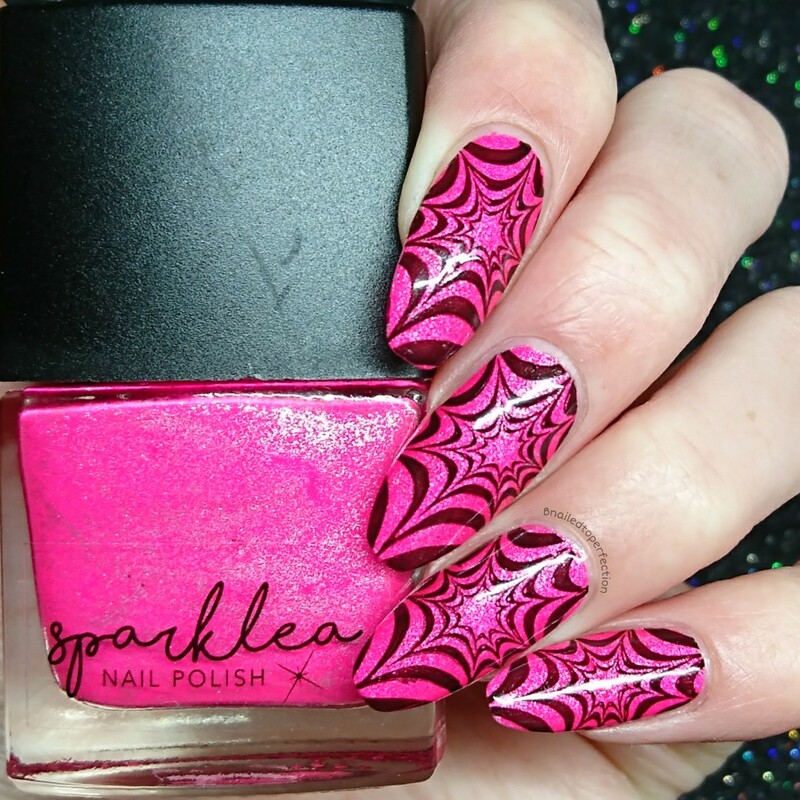 I used one of the watermarble images from 17-3 and stamped over Candy Floss from Sparklea. This is a fab collection and I will definitely be using it again. 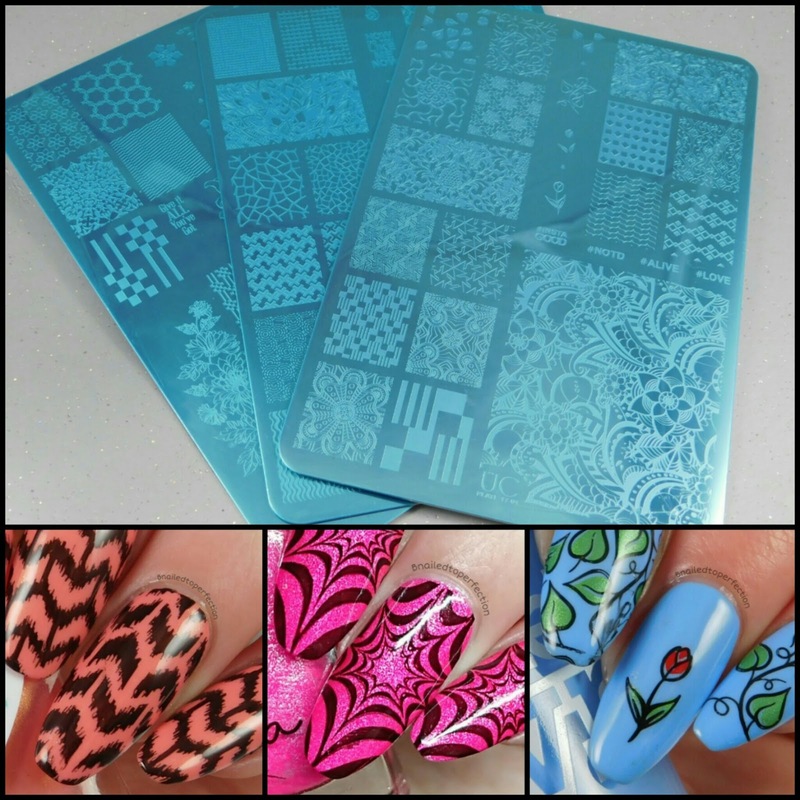 You can get collection 17 from Nail-Artisan for £20.40 as well as lots of of Uber Chic goodies!